It seems like the biggest complaint against painting is all the prep work. I love to paint, but I really do hate taping things off, washing down the walls properly...priming. I just want to get in to the heart of the room transformation. Just think of all the fun you could have with projects if you didn't have to prep anything? 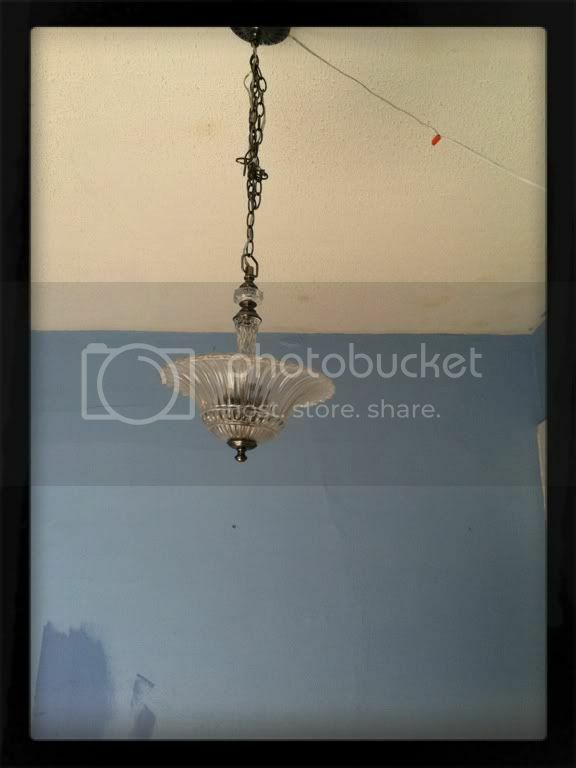 The original color in my dining room just wasn't quite right. I loved the idea of blue, but it wasn't quite the right blue. As you can see from the "test" area...I wanted to go just a bit darker. Before painting, I did a basic wipe down on the area, but not any real prep work. I didn't give the walls a scrub, which can be forgivable in most cases. But the worst thing I did or rather didn't do: I skipped the primer. I figured it was close enough in color, it would be fine. Those spots of discoloration are from where the kids got the wall dirty and I wiped it up with water! Soon, other stains started seeping through and the wall became a hot mess. This room used to be the kitchen, and I'm betting those are old grease stains and the pretty blue paint was fresh and covering up the nasty. I used to think primer was just for covering up old paint when you were going from one big color to another. 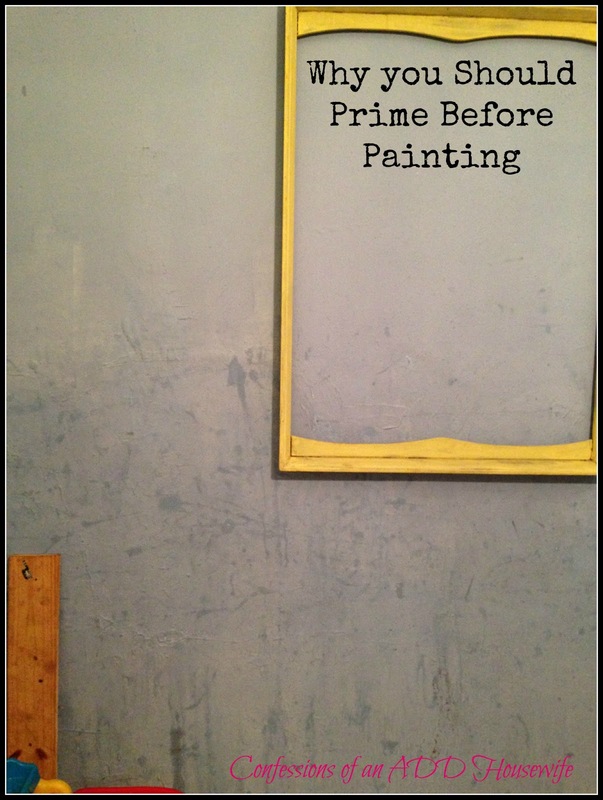 Now, I know the truth: Primer is the Spanx of the paint world. It holds everything in and keeps all the imperfections from showing. You skip the primer and you may be facing serious the paint equivalent of a wardrobe malfunction. If you suspect there might be stains, be sure to get a quality stain blocking primer. As always, make sure you get the right tools for the right job. I prefer using an oil based primer like Zinsser ... I'm not affiliated with them...just like the product! good post!! marked!! for my bedroom decorating!